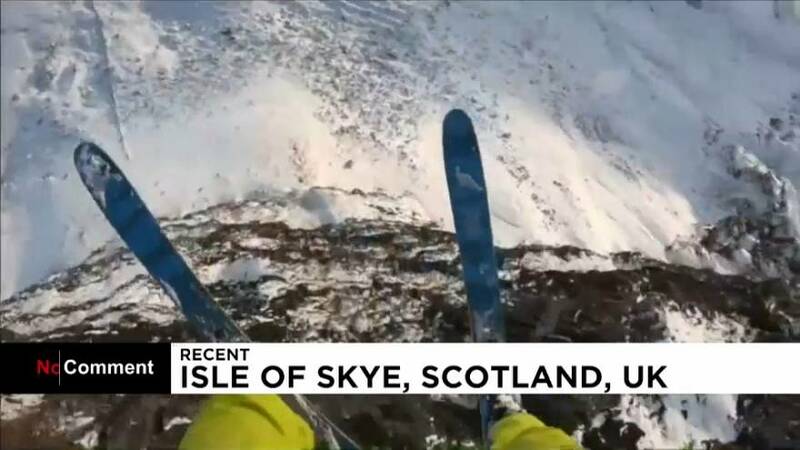 Mountain athlete Tim Howell completed a series of base jumps from a number of iconic Scottish mountain locations recently. Howell, an Afghanistan combat veteran, jumped from the Storr Cliffs on the Isle of Skye, the north face of Ben Nevis and the Steall Waterfall in Glen Nevis. All of the jumps were achieved in the space of a week in harsh Scottish winter conditions on behalf of an outdoor clothing brand. Howell's passion for base jumping has spanned more than six years and taken in various famous landmarks around the world including Table Top Mountain in Cape Town, Trident du Tacul on Mont Blanc and the Grand Canyon in the United States. Howell became the first British person to complete a ski-base jump, launching off the iconic Buachaille Etive Mor in Glencoe last winter, and is pursuing his ambition of becoming the first person to climb and jump all of the 'classic' six North Faces of the Alps.